In a previous post, Dr. Sarah Prince and Beth Nastachowski, MA, of Walden University started a discussion about online writing centers. In addition to starting a new discussion group–the OWC email discussion list–they’re happy to share some thoughts about two of their successful online services: chat and webinars. Because Walden offers its paper reviews asynchronously, offerings like synchronous chat and live webinars not only provide students with supplemental writing instruction but also give them the rare opportunity to interact in real time. The chat service is designed to quickly answer students’ writing questions while they are actively constructing their drafts. In contrast, Walden Writing Center’s bimonthly webinars offer more in-depth instruction on topics ranging from scholarly writing, style and grammar tips, and practical writing skills. Although these services aim to serve students at different points during the writing process, they both were created with the same goals in mind: to provide human connection and real-time writing instruction to distance students engaged in what can often feel like an isolating writing process. We use a live Chat feature through LibApps to give students a chance for live interaction and an opportunity to get questions answered immediately. Our Chat widgets are embedded on our writing center’s homepage and in slide-outs on every page of our website to make Chat accessible in multiple places. Because online students often crave immediate, personalized support, this service’s goal is to reach students who may not be inclined to e-mail us with their inquiry (though our policy is to answer all e-mails within 24-hours) or to try to search through our web content. Jhumpa Lahiri, the acclaimed novelist whose first book won her the Pulitzer Prize at age thirty-two, has released her first work of non-fiction: a collection of essays about learning Italian aptly titled In Other Words. The essays are animated by her passion, wide-eyed if a bit innocent, yet crafted by a masterful writer whose love of language is evident in every line. Spoiler alert: the book never discusses writing centers. Rather, it is a personal narrative of language acquisition. Lahiri, whose life is devoted to the craft of writing, recounts her experience with Italian as one might recount a love affair. 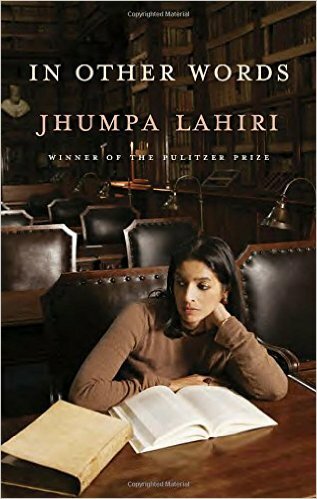 Lahiri embraces not only moments of exhilaration, but also those moments that disturb and disrupt, and even those that hurt; I suspect the writing center community will find much to identify with. In all, the book contains twenty-one essays, two short stories, and one longer, lyric afterword. Essays are short, most clocking in at less than five pages. In Other Words was first written in Italian and later translated into English, and both are presented side by side, making its 233 pages appear deceptively long. A fast and focused read, I could easily imagine this book being useful for teaching, or initiating conversations in a writing center (topics include language acquisition, the processes of reading and writing, the intricacies of identity, translation, genre and form, and the creative process). The essays are short and episodic, focusing on one element of the language-learning process at a time. Many focus on a central metaphor or analogy. For instance, early in the book she compares learning Italian to swimming across a lake. For Lahiri, studying Italian in America was like swimming near the shore, good exercise but not exciting. She could always touch ground with her feet, revert back to speaking English. “But you can’t float without the possibility of drowning, of sinking. To know a new language, to immerse yourself, you have to leave the shore.” Throughout the book, she revisits and revises this analogy, swimming through the deep parts of the lake, allowing the lake to become an ocean. Lisa Ede directed Oregon State University’s Writing Center from 1980 to 2010. She retired from OSU at the end of fall term 2013. 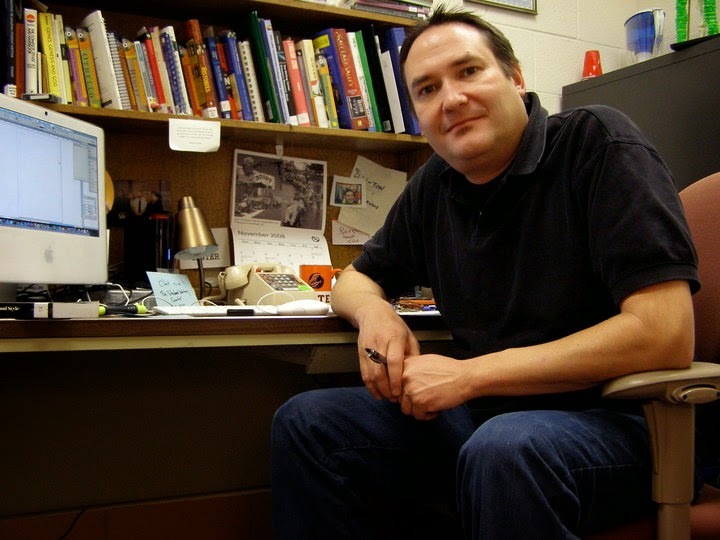 You can read a graduate student’s history of OSU’s Writing Center here. Lisa also was a co-director of the 2007 and 2008 IWCA Summer Institutes and a leader at the 2006 Institute and has published several articles on writing centers. The post below is an excerpt from a talk that Ede gave at the Canadian Writing Centres Association Conference this past spring. Ede’s talk focused on the role that collaboration can play in energizing writing center communities. As part of that discussion, Ede emphasized the strong research tradition that both grows out of and supports the daily work of writing centers. In order to convey a rough sense of this tradition and show its development over time, Ede constructed a chronologically organized list of important book-length contributions to writing center studies. In this excerpt Ede introduces this list, which begins with the earliest monograph that Ede found and continues to the present. Here is Ede’s discussion of the list and the list itself. I should mention two caveats about this list. I hope to explore the reasons why collaboration is a particularly enabling term and construct for those of us who work in writing centers, wherever they are located—in the US, Canada, or around the world. I decided to construct a chronologically organized list of important book-length contributions to writing center studies. The list begins in 1984 with the earliest monograph that I found and continues to the present. I should mention two caveats about this list. The first is that while I think this list includes most important book-length studies that in one way or another focus on writing centers, I cannot claim that it is comprehensive. The second is that because this list does not include articles, book chapters, or other briefer studies, it is only the tip of the iceberg, as it were. To get a full sense of research on writing centers, you would need to turn to the contents of such journals as The Writing Lab Newsletter (founded in 1976 and recently renamed WLN: A Journal of Writing Center Scholarship), The Writing Center Journal (founded in 1980), and Praxis: A Writing Center Journal (founded in 2003). 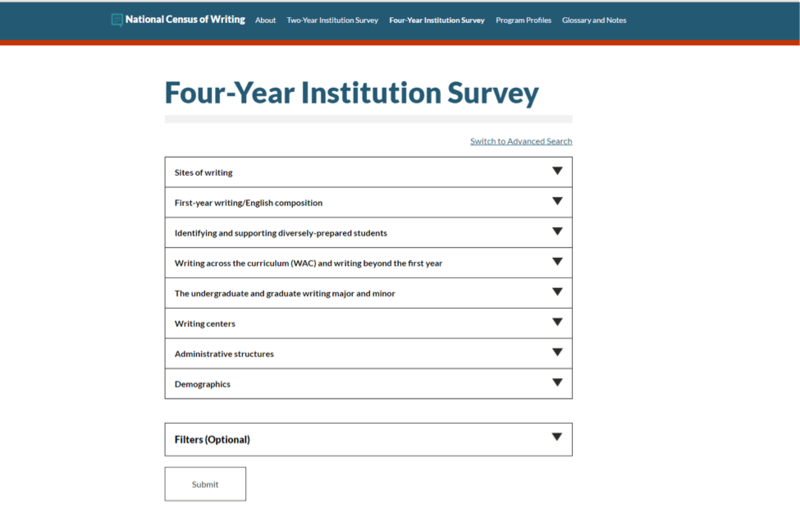 Writing center research is also published in a variety of journals that focus more broadly on work in rhetoric and composition—journals such as College Composition and Communication, College English, WPA: Writing Program Administration, and similar venues. As a perfect kick-off to our upcoming fall semester, Jill Gladstein writes about the amazing work she and her colleague Brandon Fralix have done creating and curating the invaluable National Census of Writing. Their work was supported by a prestigious Mellon Foundation grant and is a game-changing resource for conversations in the field. Often someone posts a question on WCenter or via social media asking about common practices in the writing center. Where is your writing center located? How many consultations did you hold last year? Are your consultants undergraduates, graduate students, or professional tutors? How are they trained and paid? Who directs the writing center? Sometimes people request this information with urgency in order to save a threatened writing center or other times people request this information out of curiosity to provide context for how their individual writing center fits into the larger landscape of writing centers. The answers to these questions provide perspective for folks working in and out of our centers, but we have been limited by the lack of response to these data requests. Last fall my colleague Brandon Fralix from Bloomfield College and I, with the assistance and support of many, launched the National Census of Writing database. We sent individuals at over 2500 institutions a 200+ question survey covering eight broad topics. Our goal was to complement individual research projects and larger projects such as the Writing Centers Research Project and WAC Mapping Project by providing a large set of data that would be easily accessible via the internet. We wanted to make it easier for people to create a data-informed practice within their writing program or center. Editor’s Note: This post was inspired by a conversation on the WCenter listserv in November about dress code in writing centers. In this post, current tutors share their perspectives on dress codes within their writing centers and their personal considerations when they choose what to wear to work. 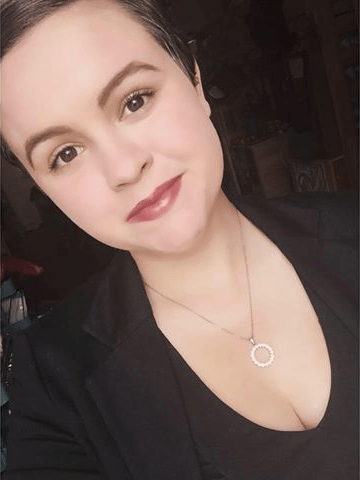 Shannon Henesy- Shannon is a junior studying English and Creative Writing at Salem College in Winston-Salem, North Carolina, USA. She is the Assistant Director of Salem College’s writing center. In Salem College’s Writing Center, “appropriate dress code” does not constitute particular wardrobe pieces, per say, but rather takes into account the preferences of the individuals who work there. Prior to opening in the fall, all of the writing center consultants discussed with our director, Dr. Katie Manthey, how strict dress codes are inherently problematic. The question which arises from assigning a dress code asks who gets to make the decision as to what is appropriate and what is not; additionally, this ordinance can cause discomfort or disassociation in certain individuals. We all consider ourselves equal in our writing center, and we collectively came to the decision to not enforce a rigid dress code. Instead, we choose to present ourselves in clothing in which we feel comfortable. We believe that the attitudes we put forward contribute to “professionalism” more than the clothes we wear. That being said, I am certain to have different considerations I take into account than the rest of the consultants. Personally, I prefer to dress in a manner that makes me feel confident, approachable, and put-together. An outfit which adheres to these qualifications can vary depending on my mood. Overall, I want to wear clothes that do not set me apart from the students which come in to be tutored; I want the consultant and the student to be on equal footing, including what we wear. 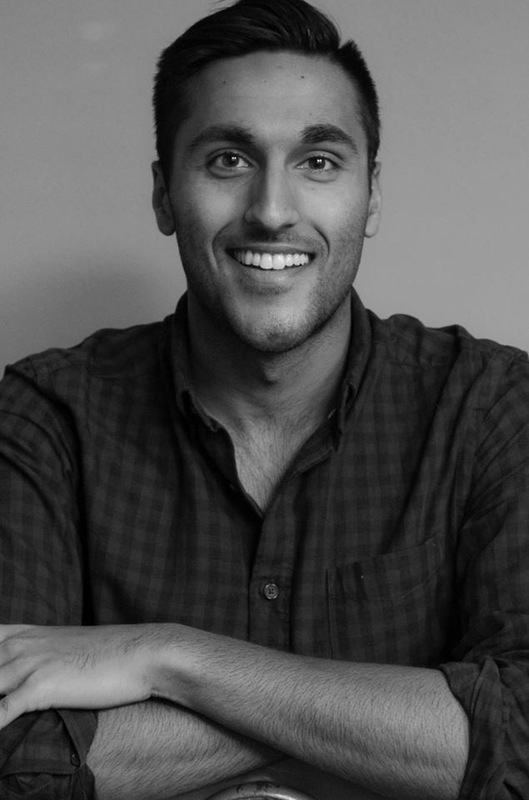 Zubayr Chohan– Zubayr is currently working on an Education After Degree (Secondary) at the University of Alberta in Canada and has previously earned a BSc. 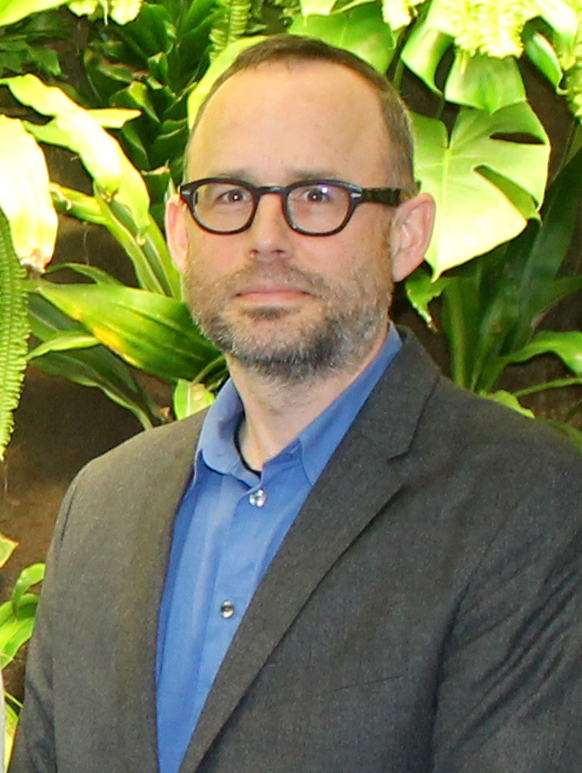 He is a tutor at the University of Alberta Centre for Writers. I think that as a male, my decisions on what I wear are less motivated by questions of safety, and instead stem from a desire to be professional. Although we work in a Peer Writing Centre, I still try to dress in a way that might make me seem older, more “professional” in an attempt to be regarded as more of an authority in the field. I find that the days I wear a t-shirt or hoodie rather than a collared shirt are the days I feel like I may be deemed as less capable or knowledgeable on my subject. That is not to say I wear a suit and tie to the centre, however I have found myself making a conscious decision to dress myself accordingly on tutoring days. I’d also like to comment that I don’t feel that clients themselves should have a dress code. Editor’s note: Dr. Elizabeth Festa is the Associate Director at the Center for Written, Oral, and Visual Communication at Rice University. I thoroughly enjoyed her presentation at IWCA 2015 and asked if she’d be willing to share more about the Center’s unique workshop. Earlier this spring, our Center supported a graduate course in ethnographic research methods. The students were assigned to make short ethnographic digital films informed by a theory they had encountered in the course. The instructor wanted to introduce them to current film projects that embrace more experimental approaches to work in the discipline. I was intrigued by this opportunity to address visual argument beyond the familiar topics of slide design, poster design, and data presentation; ours is a relatively new center (we opened in 2012) and supporting visual communication is an important part of our mission. I designed a 2 ½ hour workshop in which we discussed some recent examples of visual ethnographic work (or film/videos of anthropological interest). I participated in a 3 hour film screening 8 weeks after the initial workshop to offer feedback on the students’ films alongside the instructor and film scholars and filmmakers from the Visual and Dramatic Arts Department. I was fortunate to share our vision for the workshop through an Ignite session at IWCA 2015 and later, to benefit from a broader conversation about visual engagement in writing centers at the lively roundtable facilitated by Daniel Emery, Holly Bittner, and Rachel Wolff. The workshop that we developed was inspired by a film by Stephanie Spray that the course instructor, Cymene Howe, had seen at the “Ethnographic Terminalia” series at the AAA conference. The collective’s mission is to “develop generative ethnographies that do not subordinate the sensorium to the expository and theoretical text or monograph.” Defining “terminus” as “the end, the boundary, and the border…a site of experience and encounter,” the series encourages audience engagement, interaction, and discovery. Spray’s film, much like an interactive digital media installation produced for the series by anthropologist and artist Lina Dib, an instructor in Rice’s Program for Writing and Communication, appropriates the visual as a responsive medium through which viewers might explore the nature of human experience. We began our workshop by contrasting two very short digital stories by anthropologists, “Participant-Observation” by Wynne Maggi and “The Machine is Us/ing Us” by Michael Wesch to demonstrate the difference between projects that depend primarily on narrative telling rather than filmic showing to make a point and those in which image and sound convey content and argument. In the course of the workshop, we limned some of the historical values and principles of ethnographic film and contemplated how more recent digital projects draw upon, eschew, and/or transform these values. We referenced a variety of samples, not all of them ethnographies, to illuminate a range of interests, audiences, and tactics including photojournalistic work such as that produced by Media Storm; experimental projects at MIT’s Docubase ; non-profit “client work”; and activist, participatory and applied visual projects. Editor’s note: Abby Shantzis and Lena Stypeck are tutors at the University of Maryland Writing Center and have developed some exciting strategies for using analogies as a tool in tutoring sessions. Timely advice as we start the fall semester! Over the past three years, Lena has been especially interested in how students best retain information. 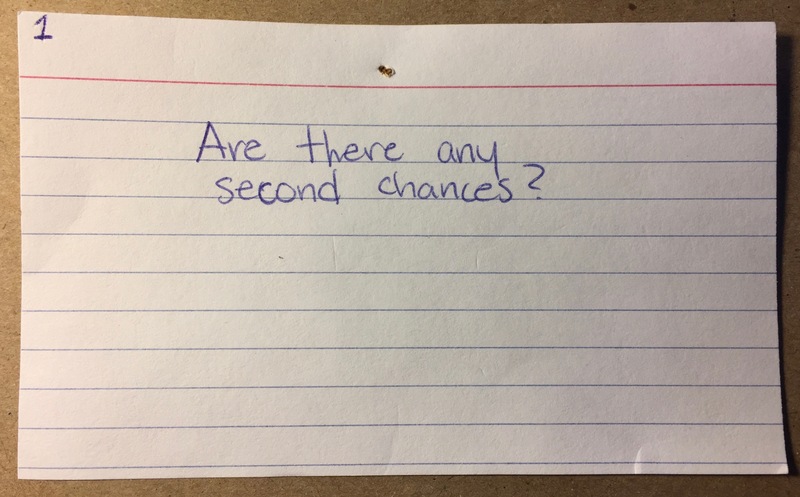 As a University of Maryland Writing Center (UMD WC) tutor and now high school English teacher, she’s constantly worried that her efforts are for nothing–what’s the point of explaining something if your client is just going to forget the second they leave you? The issue of retention came to her attention when one of her regulars returned making the exact same mistakes as before, completely oblivious to their previous sessions’ discussions. Lena began to question her own tutoring abilities: If this client had forgotten everything they’d talked about, did her other clients forget, too? How bad of a tutor was she if her clients weren’t learning anything? Was she actually fulfilling the UMD WC’s mission to make better writers, if writers were coming back with the same mistakes? These terrifying–and potentially self-destructive–questions paved the way for research on analogies, which she used to combat student retention issues. In 2002 The Richard Wright Center for the Written Word (RWC) at Jackson State University began as part of a grant. As coordinator of the Millsaps College Writing Center, Kathi Griffin was invited to help train the first cohort of peer tutors, of which then undergraduate Summer Graves was a member. After the center got off the ground, funding sources changed more than once, which also changed the face and location of the center. Tatiana Glushko and Kathi Griffin. As we know, the location of the writing center speaks about its role on a campus. The evolution of the RWC reflects its changing affiliations, thereby its role and mission at JSU. When the center opened in 2003, it was located on the third floor at the back of the library. It didn’t have its own enclosed space and thus was furnished like the rest of the library, in unforgiving oak tables and chairs. It was a place where students, primarily undergraduates “who need assistance and encouragement in completing their writing assignments,” could receive support. Every week the blog editors would like to highlight a few activities, materials or events related to writing centers from around the globe. We intend this to be a simple, fun weekly list of good reading/memes/links around the web by/for/about writing centers. You can help us by sending us links or those tidbits of information that make our readers smile. This year March 5, 2015 is the day many international writing centers celebrate the Long Night Against Procrastination. Patrick Johnson, Director of the Meijer Center for Writing at Grand Valley State University, shares how his institution has run a #lndah, or how they refer to it, a #NAP event for the last 3 years (this year will be their 4th). 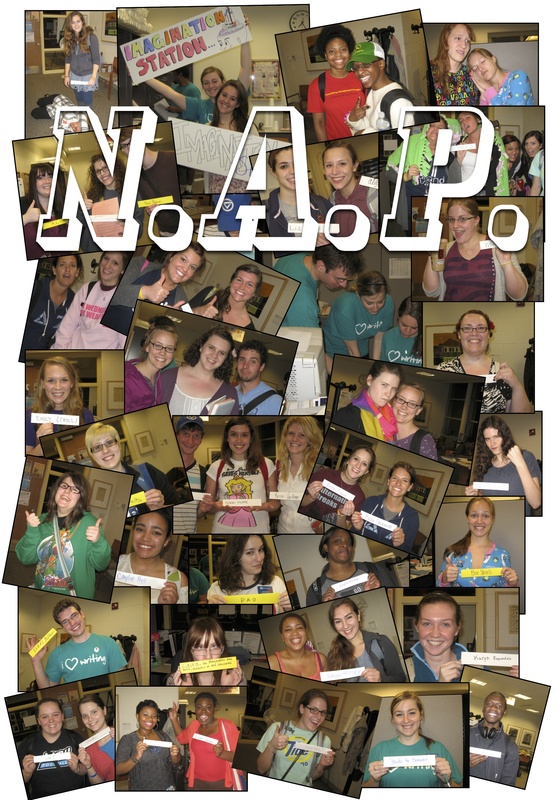 Unfortunately, due to the university’s spring break, the Center for Writing has delayed their NAP event until March 12-13. Below is a brief overview about the planned events. The Night Against Procrastination has become an annual tradition at Grand Valley State University. We started offering the event four years ago after learning about it from Sandra Ballweg (TU Darmstadt). 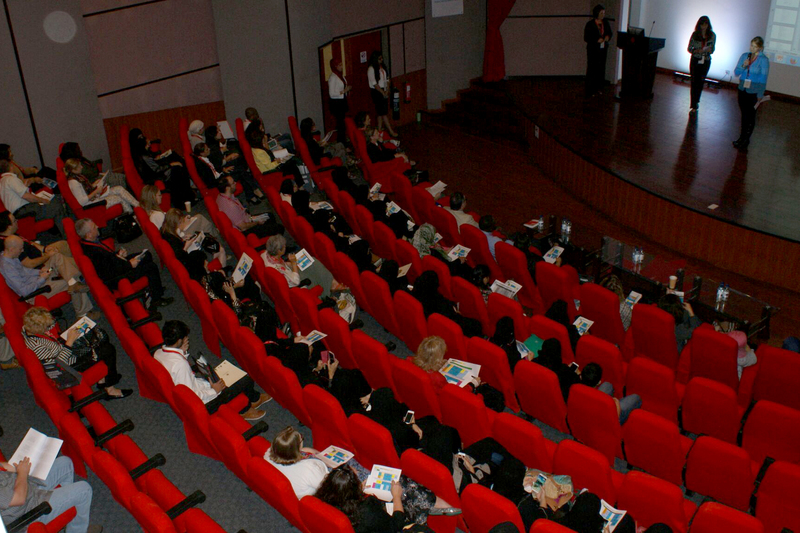 Each year it has grown and we have been able to involve more campus programs in the promotion and organization of the event. The first year we held the event we had roughly 120 students attend, whereas last year we had over 200. Given the drumbeat about the need for assessment, we’re asking for your thoughts on Neal Lerner’s “Counting Beans and Making Beans Count,” Vol. 22.1 (September 1997), and if appropriate to what is on your mind, also his later “Choosing Beans Wisely” Vol. 26.1 (September, 2001). Both articles are available in the open access Archives on the WLN website. We look forward to reading your thoughts about this topic and sharing them with other WLN readers. Please send your reflection through the Submission section on our website. As part of our 40th anniversary celebration of the Writing Lab Newsletter (scheduled to become WLN: A Journal of Writing Center Scholarship with the beginning of Vol. 40 in Sept.), we also extend a broader invitation for you to reflect on an article that has appeared at some point during all those years. 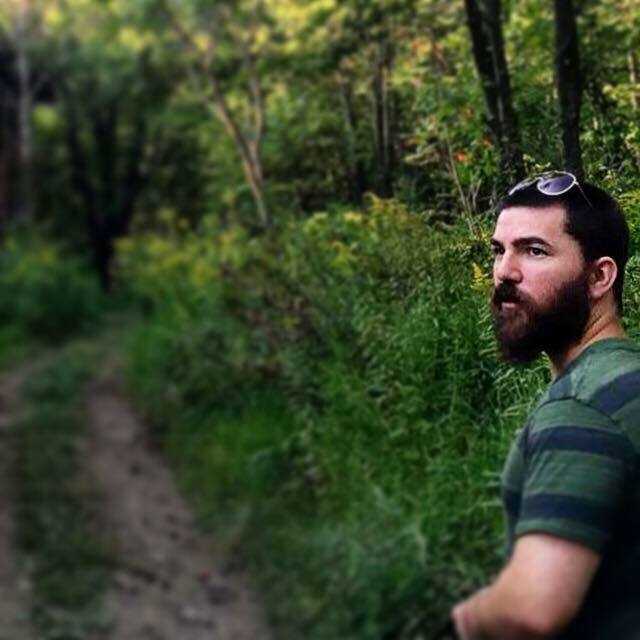 How has some particular article influenced writing center scholarship and work? How has this topic changed directions since the time in which it was written? Why? What relevance does the article have?